Commellini Estate prides itself as being as all-inclusive as possible and therefore includes many non-standard amenities in our packages. The most noteworthy amenity is the event coordinator. At Commellini Estate we want to take the guesswork out of the planning process and make it stress-free and easy on you and your colleagues. Some of the amenities included in each package are linens, an event coordinator, centerpiece options, many additional decor choices, all set up and tear down, and much more. 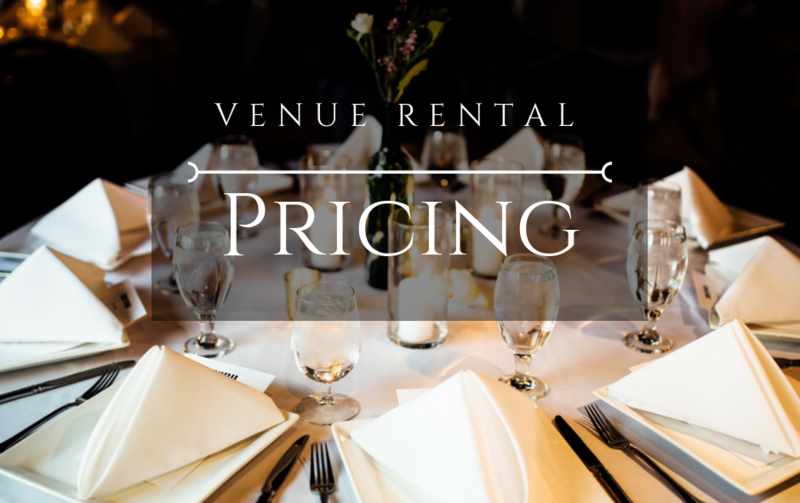 All of the below pricing includes rental for 4 hours, all of the onsite amenities, including an event coordinator, decor, and setup and teardown. *Additional event hours can be purchased for $100.00 an hour. Schedule your Onsite Tour Today! Please contact Commellini Estate Event Professionals for Custom Quotes and Questions.